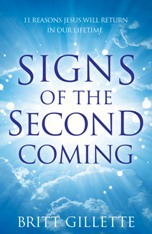 One of the best online ministries you can visit is Rapture Alert, a site run by Michael Mickey. 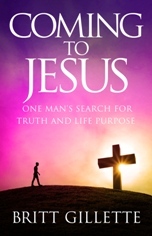 Michael offers insightful content on a regular basis, written from a biblically based perspective consistent with that espoused on End Times Bible Prophecy. In fact, special thanks are in order to Michael for letting me use his statement of faith on this site. The heart and soul of Rapture Alert is regular posting (generally on a daily basis) of commentary and articles related to the rapture, the end times, and bible prophecy. Michael Mickey authors a majority of the commentary himself, but he also features articles by other authors as well. In fact, some of you may have discovered this site as a direct result of following a link from one of our articles republished on Rapture Alert. 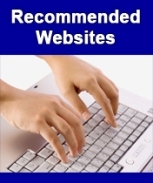 The main site features hundreds of articles which are archived going back to 2005. 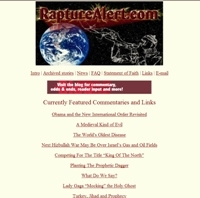 In addition, the Rapture Alert blog offers much of the main site's commentary in an easy-to-read format, sorted chronologically by date from newest to oldest. But unlike the main Rapture Alert website, the blog allows readers to post comments, a feature which often spurs informative discussions which can, in and of themselves, shed much light on the times in which we live. Like Rapture Ready, Rapture Alert posts a regularly updated list of bible prophecy-themed headlines, so you can bookmark the page and get a quick news digest that helps save you time by filtering out the millions of news headlines which aren?t directly relevant to end times bible prophecy. 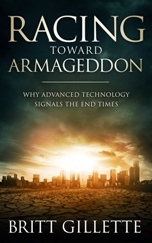 I highly recommend Rapture Alert for its Christ-centered take on the end times. Michael Mickey is a dedicated webmaster and author of high quality commentary.